For a woman, the experience of Hair Loss and Hair Thinning is very traumatic. The matrix of emotions and the psychological impact is complex. Feelings of confusion, fear, and anxiety are common. Hair Loss in Women has a combination of causes which need to be professionally diagnosed by a Trichologist who understands Women and Hair Loss. Hair Loss in Women in most cases has a combination of causes which need to be professionally diagnosed by a Trichologist. The occurrence of Hair Thinning in Women and Womens Hair Loss has dramatically increased over the past few decades with a variety of modern day causes. Nowadays there are also many so called Hair Loss Treatment for Women available that promise Hair Growth without a diagnosis or understanding the underlying cause. It is also important to understand the difference between Women’s Hair Thinning and Womens Hair Loss. 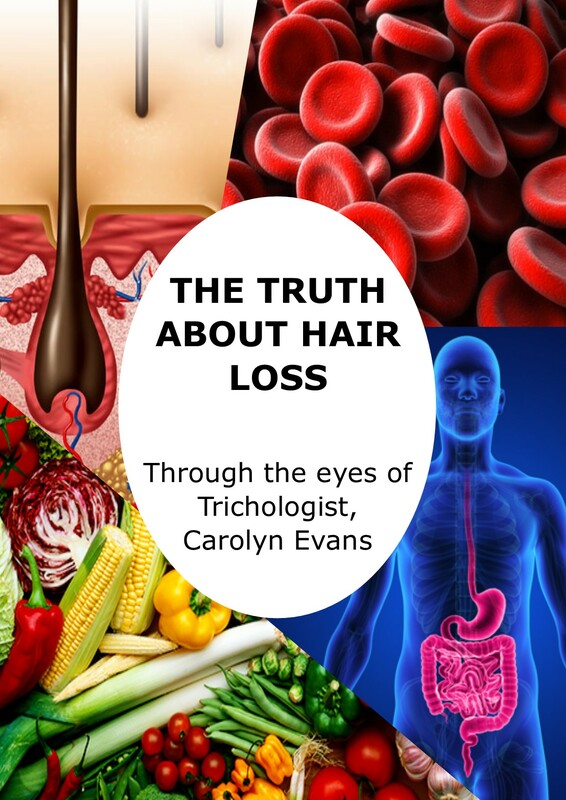 Too often this major difference is misunderstood and misdiagnosed which is why Absolique Trichologist is passionate about sharing the truth about Women’s Hair Thinning and Hair Loss in Women along with honest and Natural Hair Loss Treatment for Women. 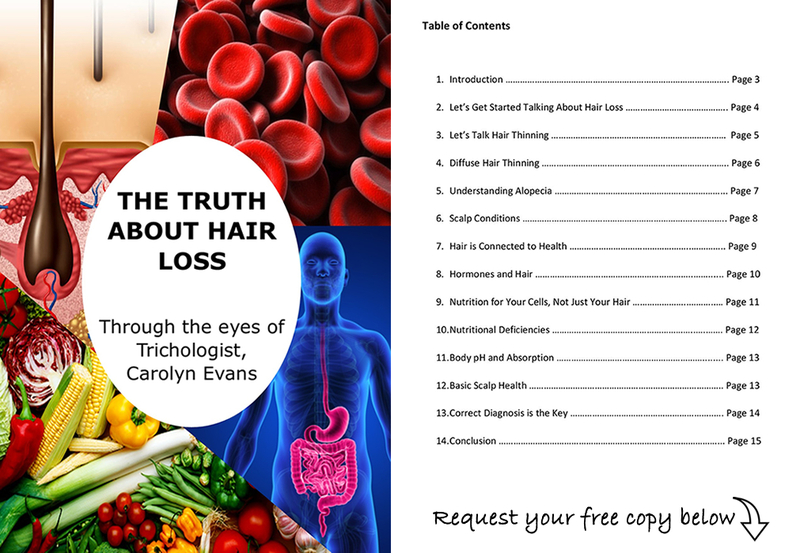 Womens Hair Loss and Hair Thinning in Women have a combination of causes these days including but not limited to: nutritional deficiencies such as ferritin, iron, B12 and Vitamin D to mention a few, medictions, hormonal influences, autoimmune triggers, food sensitivities and allergies, gut health or lack thereof, thyroid and adrenal problems as well as today’s stress, environmental and genetic factors influence. Absolique Trichologist will help uncover your individual symptoms and causes to offer varying levels of Hair Loss Treatment for Women. It is important to understand and address all symptoms and causes of Hair Loss and Hair Thinning when choosing Hair Loss Treatment for Women. A one treatments fits all approach to Womens Hair Loss and Hair Thinning does not work as it is very complex and individual. Online products with no diagnosis, generic hair centers and even doctors do not understand the science of the hair cell, hair cycle and cellular heath required for Hair Regrowth. Absolique Trichologist can help you with correct diagnosis and Natural Hair Loss Treatment for Women. Genetically inherited Female Pattern Thinning (FMPT), is a recessive trait which means you must inherit the FMPT gene from both parents to be genetically predisposed to Female Pattern Hair Thinning. If the genetic inheritance is strong, which we will know by looking at your family history, you could experience Female Pattern Thinning without any other causative factors, but this is rare these days because of the many hormonal and environmental factors as well as the free radical effect. Correct diagnosis by Absolique Trichologist will help to implement simple preventative measures that may be all that is required to halt Female Pattern Hair Thinning. In some cases Absolique Trichologist may need to offer Hair Growth Treatment or Hair Loss Treatment for Women to address Female Pattern Hair Thinning. Absolique Trichologist will only ever suggest safe Hair Loss Products which are toxin free and have no harmful side effects for Hair Loss Treatments. Absolique Trichologist will always recommend Hair Loss Treatments that address both symptoms and causes with our Natural Hair Loss Treatments. With this approach unique to Absolique Trichologist you are not tied to harmful Hair Loss Products for life, nor do you experience the dreaded hair shed when starting or stopping Absolique Hair Loss Treatments. Hair Loss Treatment for Women by Absolique Trichologist are applied in the privacy of your own home after your Hair Loss Treatments lesson (Program Induction) with Absolique Trichologist and team of qualified hairdressers trained in Absolique techniques. Hair Loss Treatment for Women by Absolique Trichologist may include natural supplements, topical hair loss treatments, laser therapy hair loss treatment or a combination therapy approach of various levels of Hair Loss Treatments to address both symptoms and causes after your individual diagnosis with Absolique Trichologist exclusive ‘Hair Health and Scalp Check’.